When people think of the ultimate state of comfort, no-one ever imagines planes. As people are getting increasingly cheaper deals to fly to their favorite “unspoiled” paradise beaches of Thailand or Mallorca, they also willingly sacrifice some 8 hours of claustrophobic, cramped hell on a plane, in order to get there. So while you’re sitting there in your cramped seat, your knees sore from not getting to stretch your legs, stomach growling, with a smelly neighbor, and a crying toddler in the seat behind, the one thing you might find solace in is to look through the window. This, however, might also be a luxury you’ll eventually have to sacrifice. Emirates Airlines just designed a windowless airplane. Apparently, airplanes without windows are 50 percent lighter, and will therefore also cause fewer emissions. Instead of windows, Emirates introduces digital screens where the windows used to be, showing the outside landscape that is being recorded by fiber-optic cameras, in an effort to create the feel of looking through a normal window. 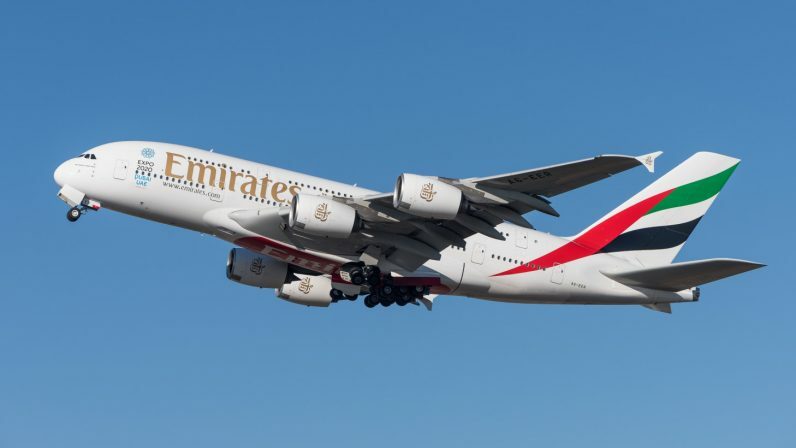 Emirates’ president, Tim Clark, told the BBC that the goal is the bring these fake ‘digital’ windows to all the airline’s planes in the future. Besides the general discomfort most people associate with flying, some people experience severe issues from claustrophobia. To them, will digital windows be as comforting as actual windows? Can it trick people to forget that they’re, in fact, not looking through a window, but at a screen? And worst case scenario – if the screens fail? Technology, although highly advanced and reliable, still malfunctions sometimes – so screen glitches or freezes will likely happen on some occasions. Creating an entirely seamless experience where a virtual window can fully replace the liberating feeling of looking through a normal window might be challenging. However, air traffic is extremely polluting, but at the same time, people are traveling more than ever. If windowless planes are a solid solution to less pollution, maybe this is an inconvenient reality people have to accept, if they really are committed to experiencing that Full Moon party. This article was updated on June 11, due to an external link missing in the text.